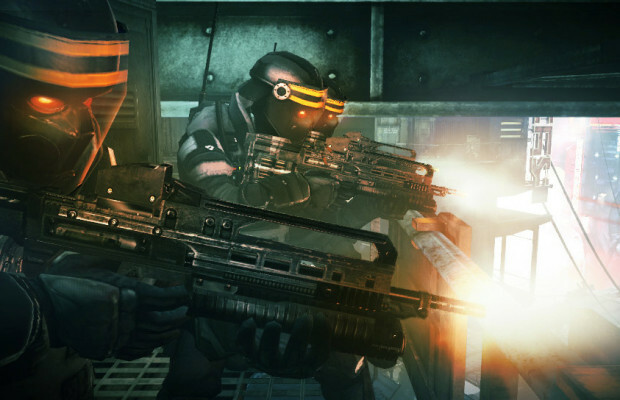 The Killzone Mercenary closed beta for PS Vita is out now. Did you get in? Whether you’re enjoying it now our now, here’s a new developer diary for you on the game’s multiplayer. As you might already know, there will be a feature in the game that allows you to carry your character back and forth between the single player and multiplayer. This holds true for character rank as well. Both increase in single player without an Internet connection and will update once you plug in. In addition, killed enemies may drop Valor cards, which look essentially like regular playing cards but can be collected and made into winning poker hands or even entire decks for major rewards which can, of course, be used for more weapons and upgrades. This includes the Vanguard capsule, a care package-esque drop containing the devastating Vanguard satellite weapon. Check out the video with some gameplay below. Will we see you online when the open beta releases later this month? Tell us in the comments or find us on Facebook and Twitter!